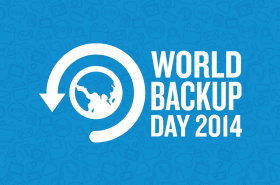 Happy World Backup Day!! While it may not be as monumental as the Eiffel Tower, as hot as a Bunsen Burner or as colorful as Crayola Crayons (all of which also have their 'day' today) the subject of backing up electronic data is very serious and often overlooked until it is too late. Everyone is dealing with significant growth in electronic data with research suggesting 10-100% annually. It is however, small and medium sized businesses (SMBs) who are least prepared to manage, secure and back-up this tidal wave of data. Their greatest threats comes from hardware failure (78%), human error (11%) and software failure (7%) and the remaining 4% being made up of viruses and natural disasters. According to the IDC around 15% of SMBs have no backup strategy in place. Significantly more are carrying out local, single tier backup which leaves plenty of room for complete data loss should a hard disk fail which will, at some point, statistically happen to 50% of businesses. A report from Gartner stated that "Backup and Disaster Recovery Modernization Is No Longer a Luxury, but a Business Necessity." With the recent arrival of cloud storage options,companies are able to store their data safely away from their physical locations. 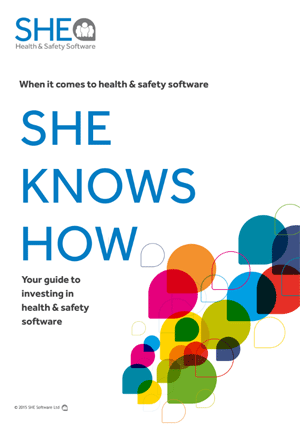 Suited to organisations of all sizes, our Assure health & safety management system software is fully cloud hosted giving access any time from any web enabled device. It offers a secure, convenient method to complete workplace safety risk assessments; report and investigate incidents; store training records; manage assets; regulate contractors; conduct audits; create email notifications; track and escalate actions and more! We entrust the handling and storage of all our customers data to Rackspace®, the world's leading cloud hosting company. Their SHE Software dedicated secure servers and security-tested operating system hosted by them is within their physically secure data centre and monitored network. Combining this with the Rackspace® ‘multi-layered’ total security approach keeps your data reliable, backed up and secure in a way that no other configurable online safety solution can match. Furthermore, you automatically benefit from product improvement with updates to your cloud hosted solution happening regularly and behind the scenes. Assure has evolved over a period of 17 years guided by our dialogue with experts across our customer base and User Group. 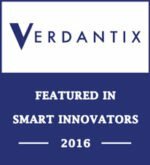 We constantly update the solution to meet latest regulations, add new features and take advantage of useful changes in technology. We drive relentlessly to make our software even easier to use.